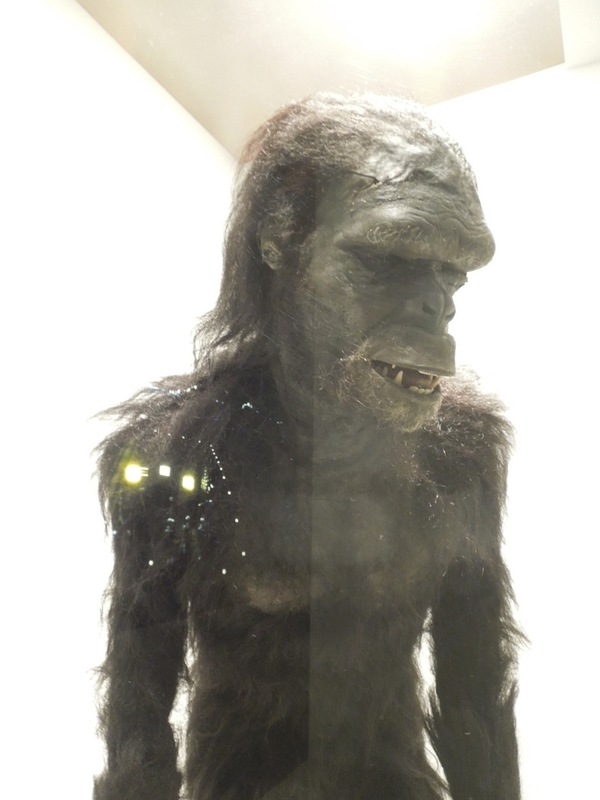 There's nothing like a monkey suit to make you smile, especially when it's one from the Dawn of Man, like this one from 2001: A Space Odyssey. 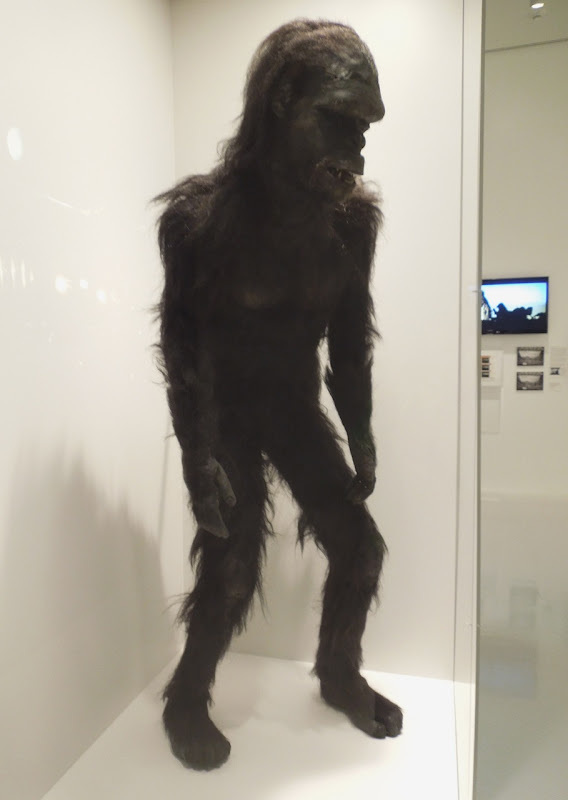 It really was a treat to see this original 'Moonwatcher' mask and full body costume from the 1968 sci-fi classic on display at LACMA's Stanley Kubrick exhibit in L.A. on January 10, 2013. 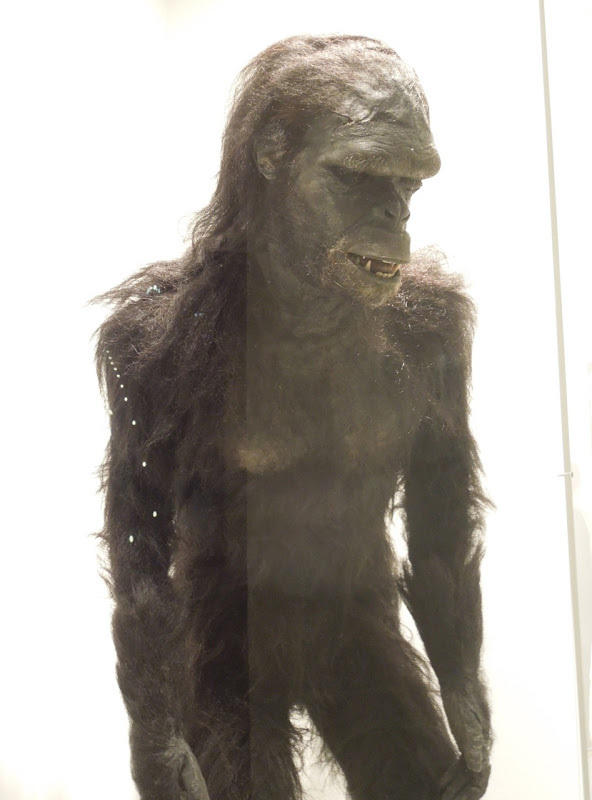 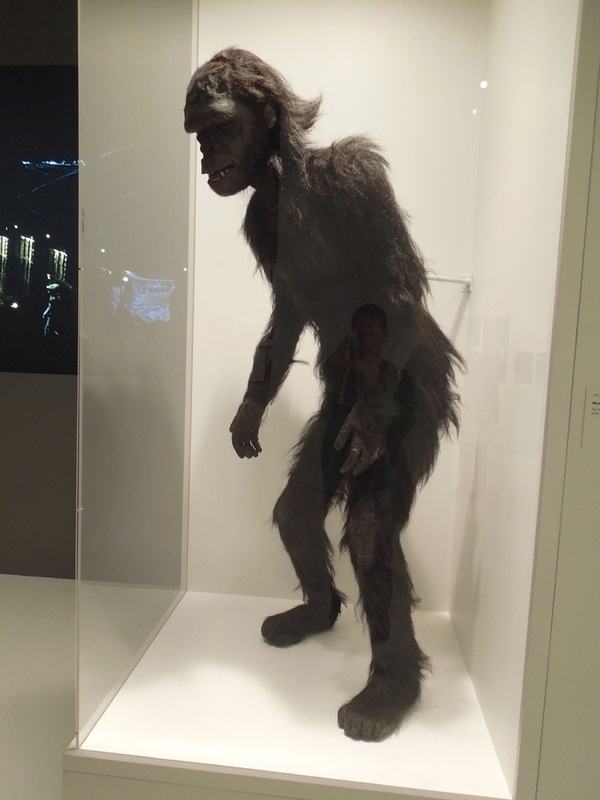 This costume and mask feature in The Dawn of Man section at the start of movie, which depicts scenes from early human evolution where Moonwatcher, the dominant male man-ape of the tribe, first encounters the mysterious black Monolith which encourages his use of bones as both tools and weapons. 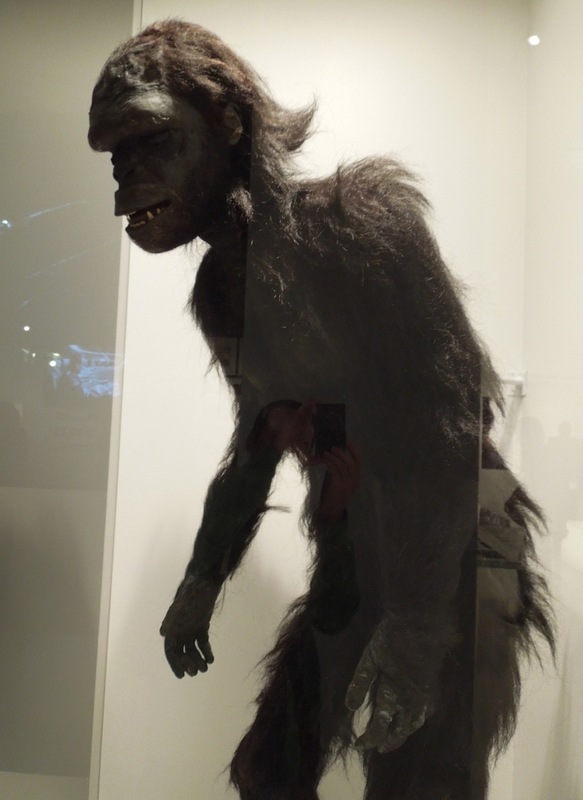 Makeup legend Stuart Freeborn, who recently passed away, was responsible for the creature effects makeup on this epic sci-fi movie. 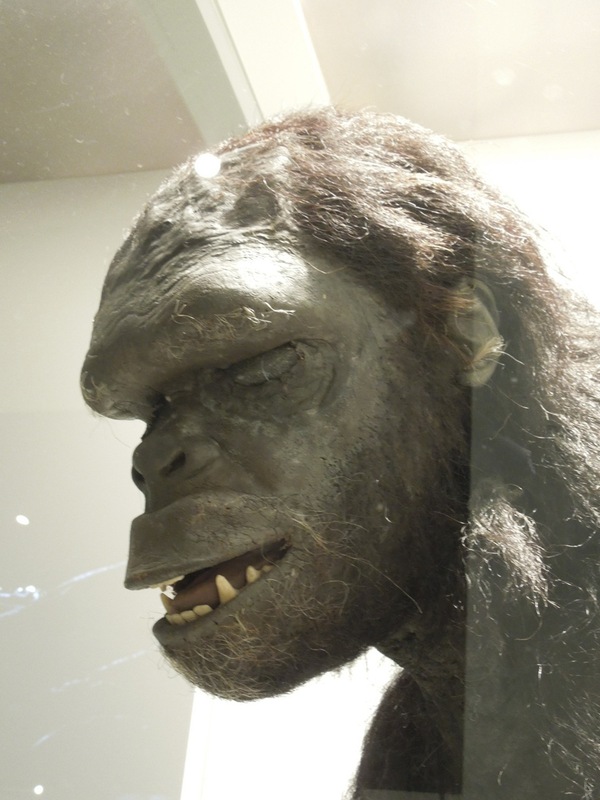 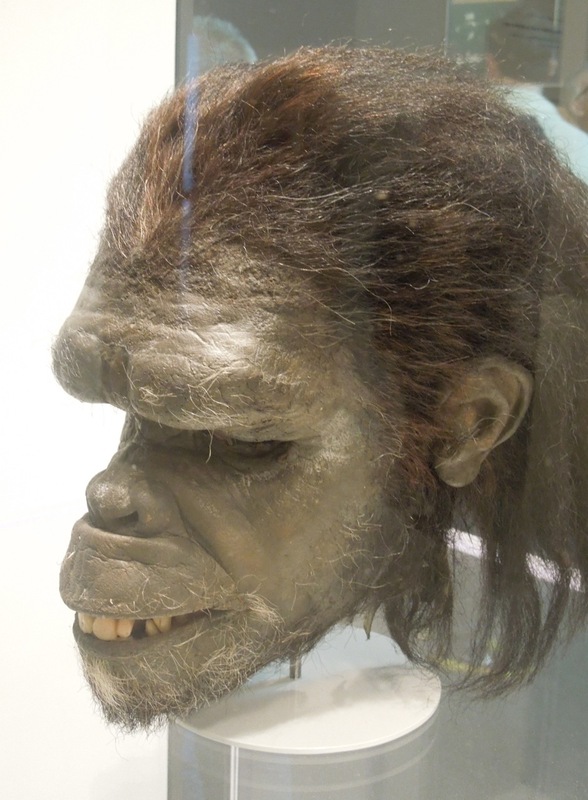 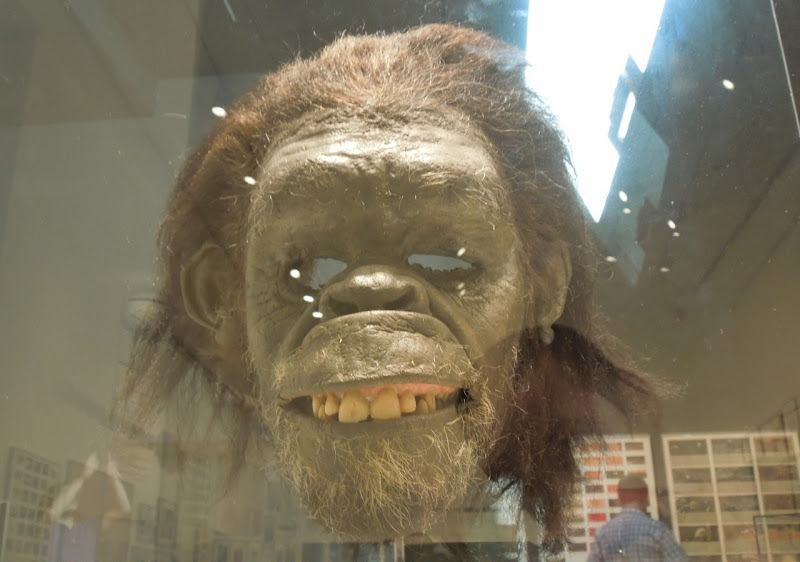 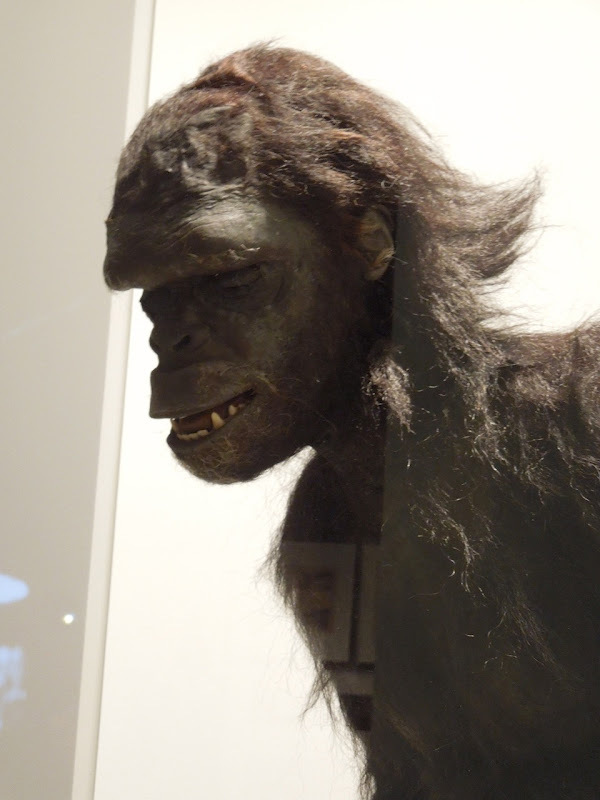 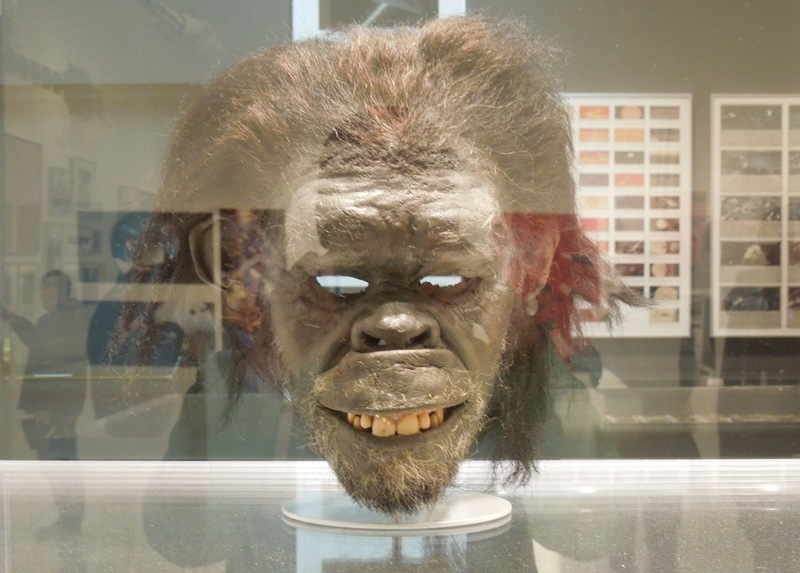 Apparently it took around two years to craft the masks with moving lips and tongues, along with realistic looking simian teeth and the apelike hominid body suits which were made from human, yak and horsehair. 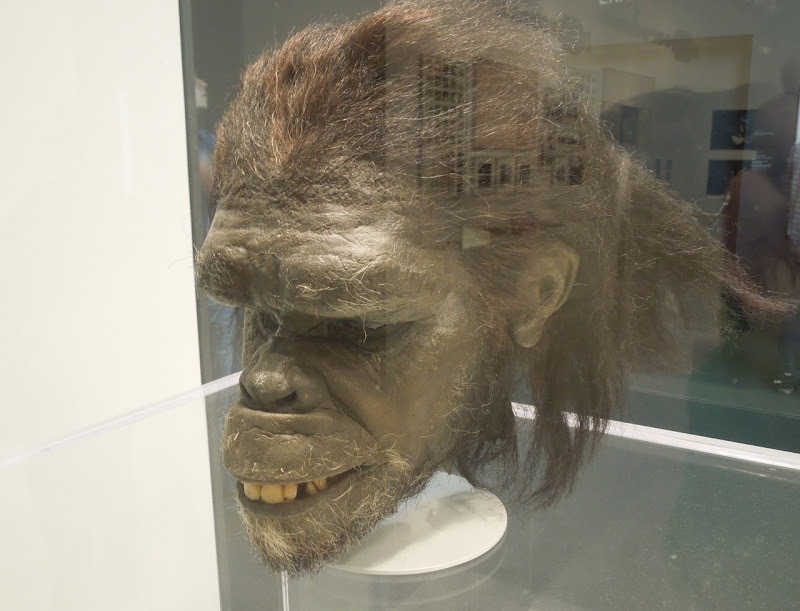 Seeing them up close, especially considering when they were made, it's easy to see why his work so impressed George Lucas that the director asked him to handle the makeup for Star Wars, where he created the likes of 'Yoda' and 'Chewbacca'. 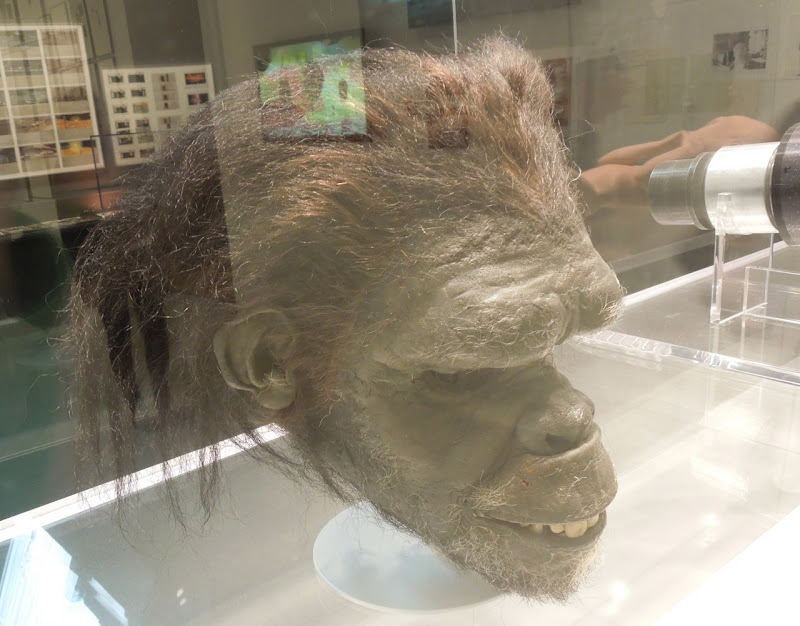 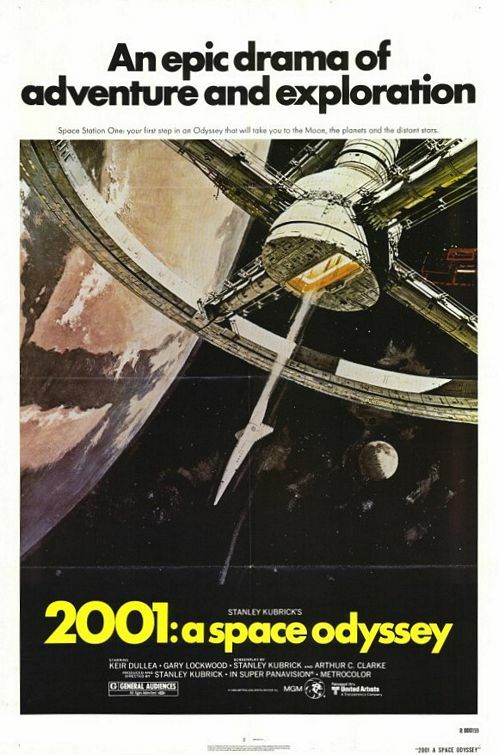 If you're a fan of Stanley Kubrick's movie, be sure to check out these other cool costumes and props from 2001: A Space Odyssey on display.